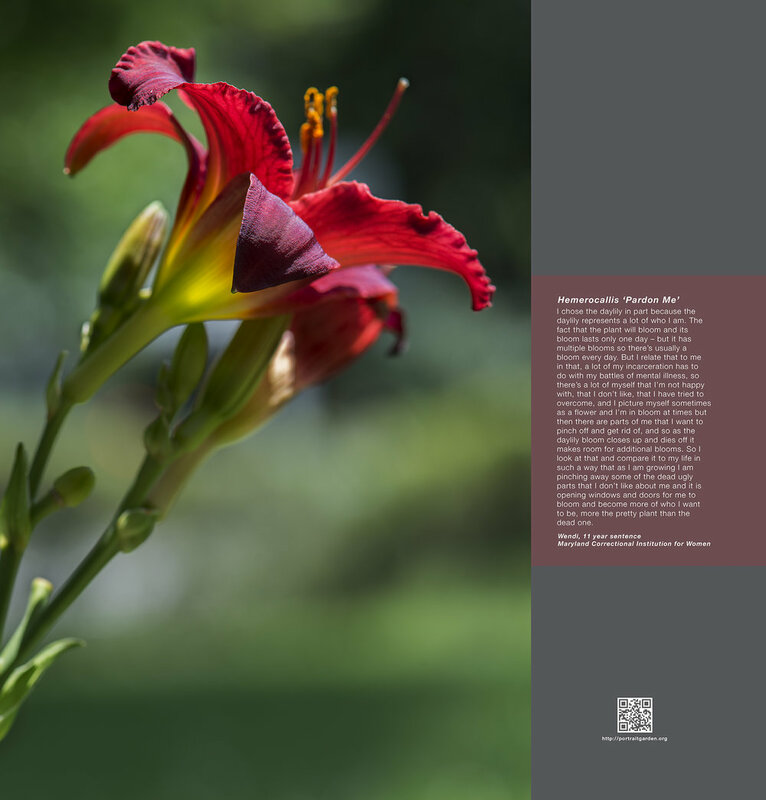 Portrait Garden is a metaphorical garden of 'portraits' of eleven women incarcerated at Maryland Correctional Institution for Women (MCIW), a multilevel security prison. Portrait Garden used environmental stewardship as a tool for self-reflection through the selection of plants to represent each woman and resulted in the co-creation of three perennial gardens on the prison grounds. The display of the project consists of a collection of photographs of the cultivated plants paired with recorded statements by each woman. 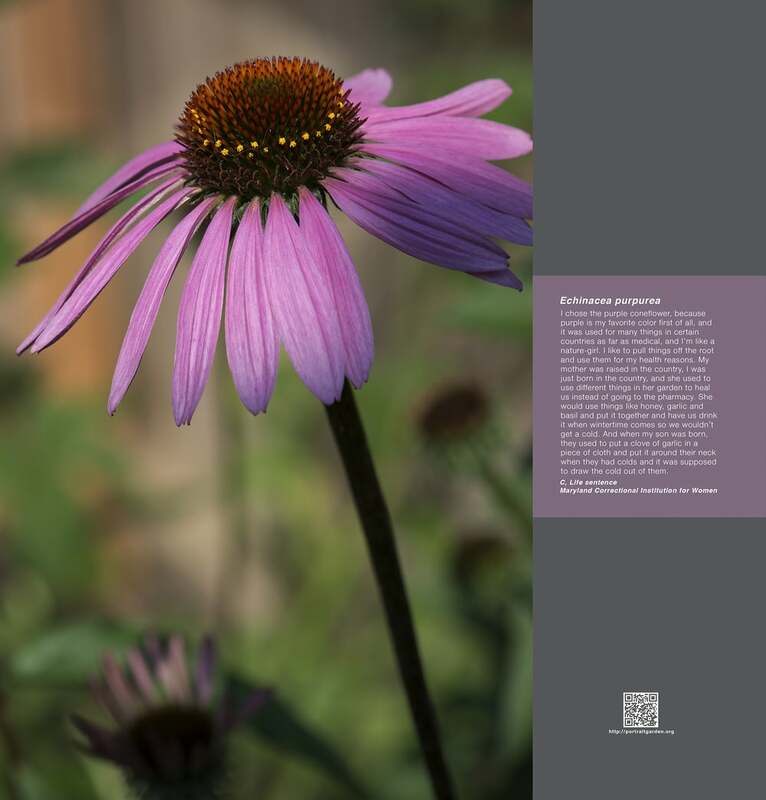 A book about the project, Portrait Garden: Self-Renewal through Environmental Stewardship, was published in 2016. A short video interview about the project can be seen here. Displayed as interactive posters in Baltimore Light Rail trains, December 2014 - January 2015. 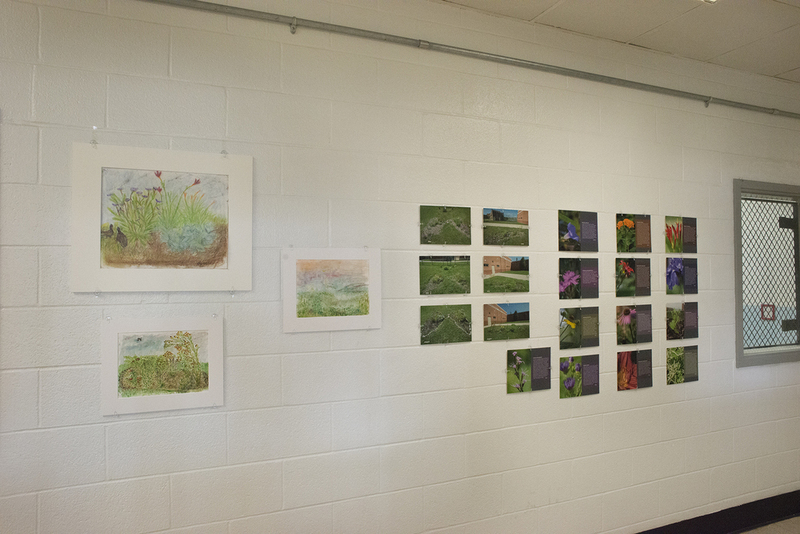 Exhibition at MCIW with inmate artwork, January 2015. Exhibition of Portrait Garden at the Top of the World Observation Level Gallery in the World Trade Center Baltimore, Oct 2016 - Sept 2017.